April is the 4th month, the 4th is the 4th day, and the year 2011 reduces to a 4 as well: 2 + 0 + 1 + 1 = 4. Of course, pretty much every year contains a few dates that reduce to three identical single-digit numbers. Next year, there will be May 5 (as well as May 14 and May 23) that will reduce to 5-5-5. The year after, June 6, 15 and 24 will reduce to 6-6-6, and so forth. This year, April 4, 13 and 22 all reduce to 4-4-4, and all three days will have a lot in common. 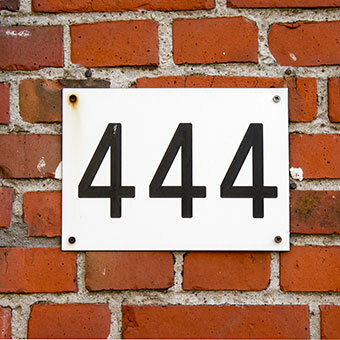 In numerology, the 4 has everything to do with methodical, persistent effort. It has an eye for detail and is predictable in its actions. There is nothing uncontrolled about a 4. It is down to earth, reliable, trustworthy, well organized and efficient. It is the number for accountants, middle managers and skilled craftsmen. And so, a day with excessive 4 energy is an excellent day to start a new project, especially a long-term project that requires continues effort and attention and a systematic approach to a well-defined goal. And there is more good news. The 8 is also strongly represented on April 4, not only as the number of the Universal Month cycle, but also in three of the four Pinnacle numbers. The 8 and the 4 work very well together, particularly in a business environment, as the 8 is a visionary, a risk taker, a great and daring planner and an authoritative, powerful number. So when it comes to picking a day, and using numerology in the process, when all the numbers are lined up just right to start a creative, long-term business project, the three dates in April that reduce to all 4s (the 4th, 13th and 22nd), are about as good as it gets. As always, there is also a potentially negative side to this 4-4-4 arrangement of numbers. In the view of numerology, the 4 is limited in scope, doesn't deal well with unexpected changes and likes routine too much. The 3 can be so scattered that its energy is completely wasted, and the 8 also represents balance which, if you have not implemented the necessary effort, often causes a financial debacle instead of riches. However, if you are the kind of person (or company), that does not cut corners, tends to plan ahead carefully, keeps a close eye on the details and plays fair and square, your chances of starting a project that turns into a success are greatly enhanced. All in all, the dates of April 4, 13 and 22 look very good for projects and birth dates. Where it does not bode well is on the global playing field, as the 4 and 3 combination tends to create tension in all the wrong places; the weather, politics and so forth. Considering how earthquakes, tsunamis, nuclear reactors overheating, and political unrest in the Middle East have already been wreaking havoc for quite some time now, it is hard to see what else can go wrong. But, as numerology shows over and over again, that is the nature of things; the pendulum always swings. What goes up must come down.